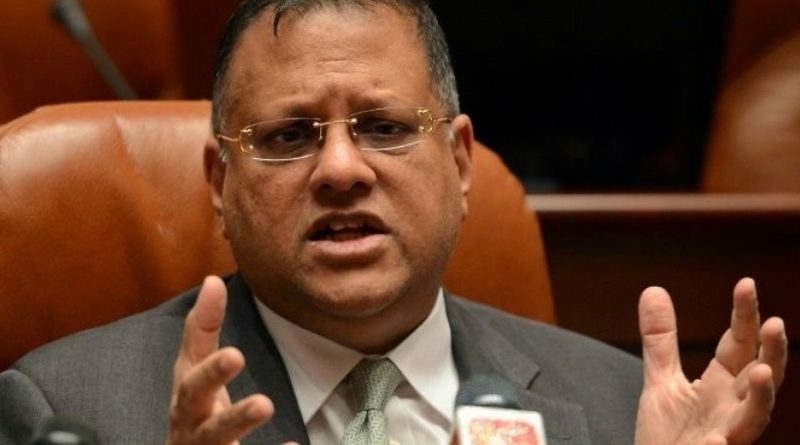 Former Central Bank of Sri Lanka Governor Arjuna Mahendran had reportedly offered his opinion to Bloomberg, in reference to a proposed investment by Qatar in the German based Deutsche Bank. Bloomberg, in a story dated 28 January, quoting Mahendran on the proposed investment, said, ‘There’s a potential liability ahead in case the Bank is fined by the regulators in the United States (U.S.) for those accusations of money laundering. The fear is that you can’t quantify the fine, that’s the known unknown. So they may do both, get the Qataris to put in some equity and merge with another German based bank ‘Commerzbank’, to fill any holes created by having to pay the anticipated fine’. Deutsche Bank is presently accused by the U.S. Authorities of money laundering.